When you can't take her with you, give her the next best thing, a home from home at Creusa. 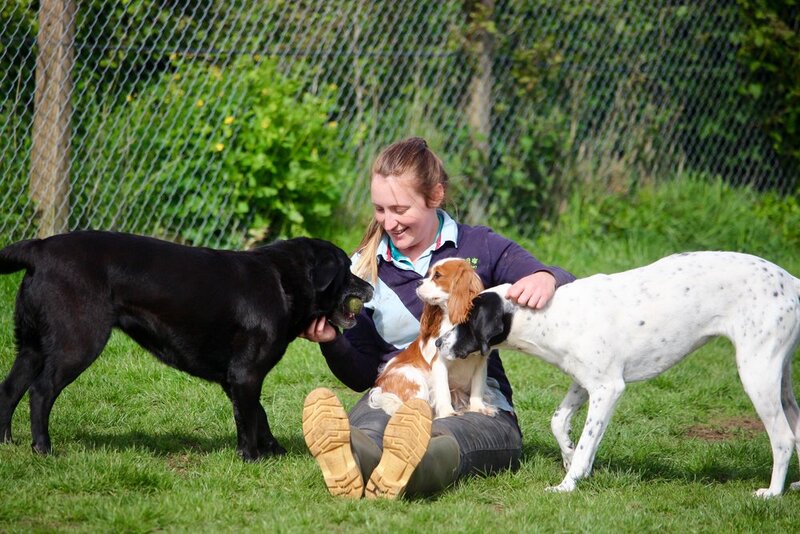 Creusa Kennels and Cattery is located in the heart of Cornwall close to the Eden Project and the south coast. We have excellent facilities for dogs and cats in four acres of grounds, looked after by experienced, caring staff. Your best friend is in for a treat when they come to Creusa. Lots of play time and walks and extra attention for dogs who are getting on in life or have medical needs. Your furry pal is in safe hands at Creusa. Quiet indoor/outdoor spaces where they can watch the world go by or cosy up for their all-day sleep. Find out about our policies, general facilities and what you can expect from Creusa. Creusa is well known for our excellent service and for continuously improving our facilities; in fact this is just what the local authority inspector said the last time she visited! Our 2017 customer survey shows that these improvements are valued by our customers with an average rating for our facilities of 89 out of 100. Our customers are our biggest ambassadors. Read what they have to say about Creusa and join in our caring Facebook community.